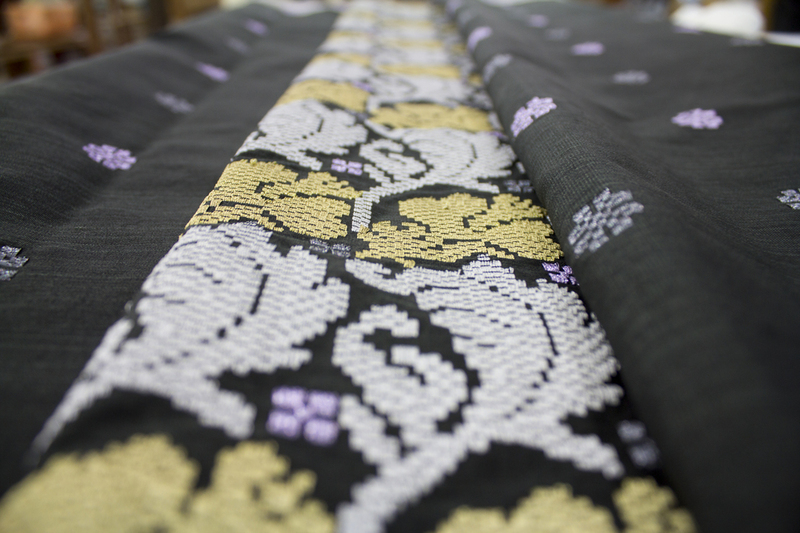 Back in the day, songket was often seen as the textile of choice of the Malay elite and royalty. It was often passed down from family members as heirlooms and only worn during special occasions. It still continues to be seen as a prestigious clothing but it is rarer today because of how less people are actually doing the weaving. The older generation of weavers are slowly passing away which leaves behind a shrinking pool of young weavers to carry forth this tradition. It doesn’t help that mechanisation and cheap imitations have made the craft decline further. According to a survey, there were approximately 2,000 weavers 10 years ago. The number is believed to be much lower now. So this organisation in Kuching, Sarawak preserves this culture by making sure the songket art continues to shine bright. ​Tanoti (which means weave in Sanskrit) was established in 2012 out of an urgent need to save an existing community of weavers from disbanding. It had an initial investment of RM500,000 and housed 16 weavers. The company is 100% owned and managed by Sarawakians. 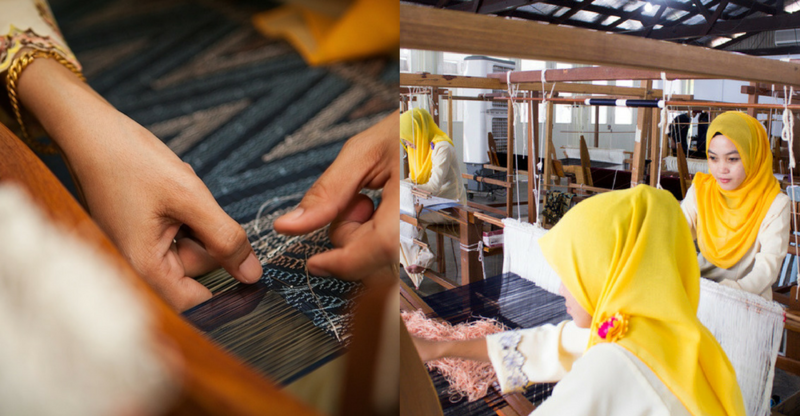 The Yayasan Tuanku Nur Zahirah then decided to discontinue funding for this workshop so two women decided to start a company to take over the highly skilled team of weavers. 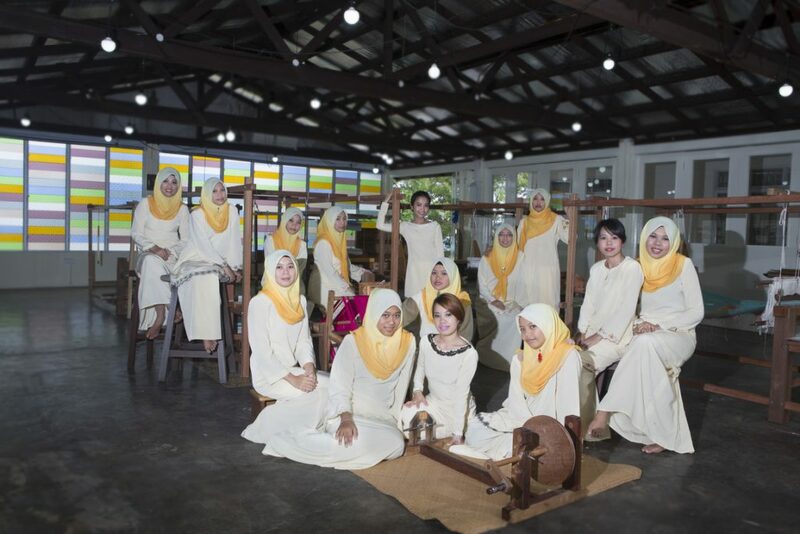 Tanoti is a congregation of women weavers dedicated towards the preservation of songket weaving. Young ladies join this community to acquire skills in this heritage craft so that they have the ability to earn viable income from this skill at every stage of their lives. Through them, the songket survives for yet another generation. Currently they have 21 artisans, 19 weavers and 2 textile designers. Of the 2 co-founders, one is working at Tanoti on a full time basis. Tanoti has a mentorship programme where the lesser experienced weavers would be supervised by those who are more skilled. The organisation believes in providing hands-on training so all of their weavers can learn to cooperate with each other in getting to grips with the ins and outs of weaving songket under the watchful eyes of their seniors. “Depending on the individual weaver’s ability to pick up the necessary skills and techniques, we hope that each trainee will be able to weave independently at their own loom within six months,” said Jackie, one of the co-founders of Tanoti in an interview. 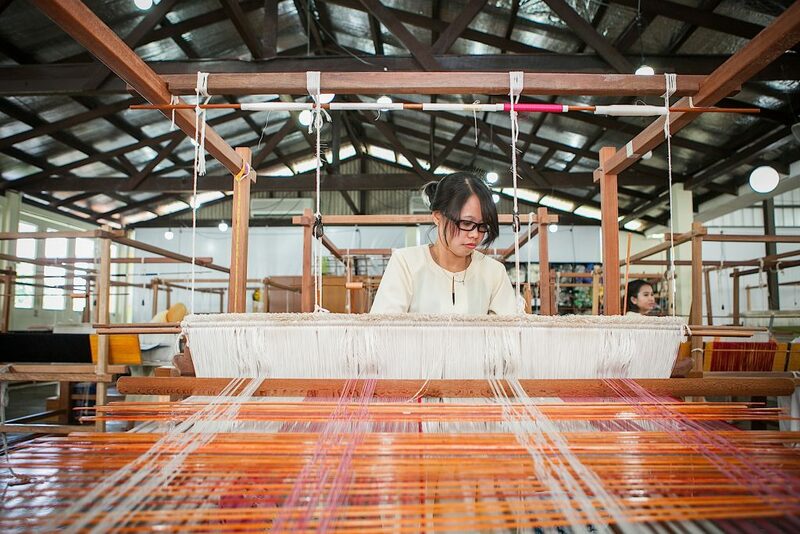 Tanoti mainly focuses on Sarawak songket but they are also trained in peninsular songket-weaving techniques. According to Jackie, the design process for a textile art piece starts with the idea and concept before translating it onto the graph for weaving. “In terms of production, there should not be a fixed time to complete a piece. Execution timeframe depends on factors such as types of threads used, techniques to be employed, size of the piece and complexity of design,” shared Jackie to Vulcan Post. “As this programme requires intense guidance and supervision​, we only cater to single persons or small groups and advance booking is required,” said Jackie. ​When asked if there a difference in weaving according to tribes, Jackie said that each tribe would have designs, techniques, colours and products unique to themselves. Currently, Tanoti pieces can be found at their gallery at Tanoti House. Other locations where Tanoti retails include Datai Langkawi, St Regis Langkawi and at British India stores in Klang Valley. They have not embarked on e-commerce but​ are expected to do so soon. The biggest enemy that any handcrafted industry faces would be automation with machines. But the team sees how it can also be used as an advantage. “Designs of traditional arts may grow stronger yet as these designs may be reproduced in all sorts of media enabled by technology,” said Jackie. 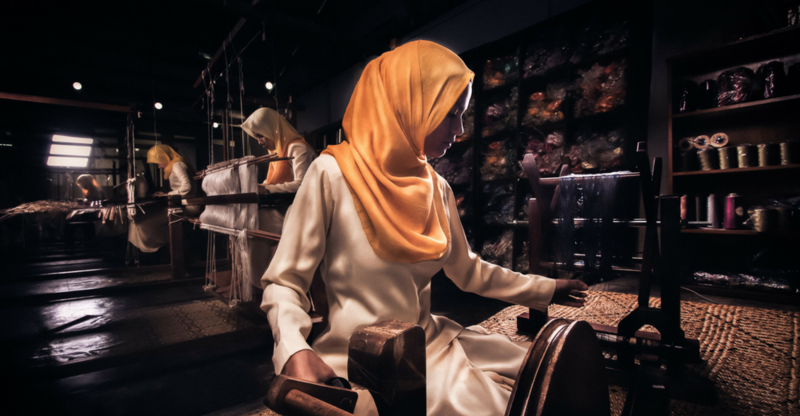 Songket weavers are mainly found in Pahang and Sarawak where most of them are women who have learnt their weaving skills from their more experienced elders. Despite the younger generation losing interest, the traditional art itself is still very prominent in Sarawak. “You can see that it continues to strongly influence Sarawak society through tattoos, graffiti​, murals​, fashion and architecture. ​We believe that ​both Federal and State ​governments have invested in the preservation in traditional art through workshops, grants, programmes, campaigns and so forth,” said Jackie when discussing on how the Sarawakian society is attempting to preserve the art. One of their future goals include to​ catalyse a viable and sustainable ecosystem around handcrafted products and by continuously housing weavers to make sure songket remains existent. It may be difficult with the movement of advanced technology but Tanoti’s ready to weave it one thread at a time.